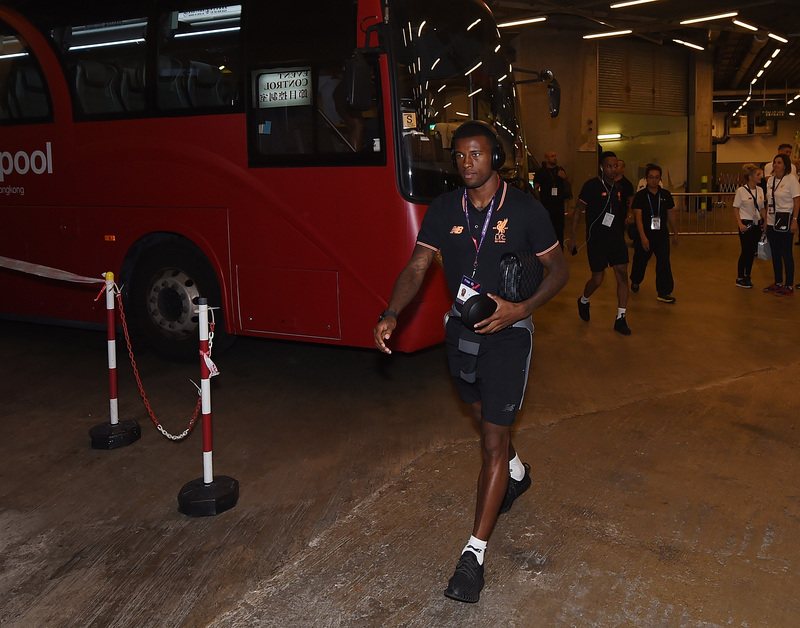 Get live updates, videos, photos and much more as Liverpool face Leicester City in the Premier League Asia Trophy final in Hong Kong. 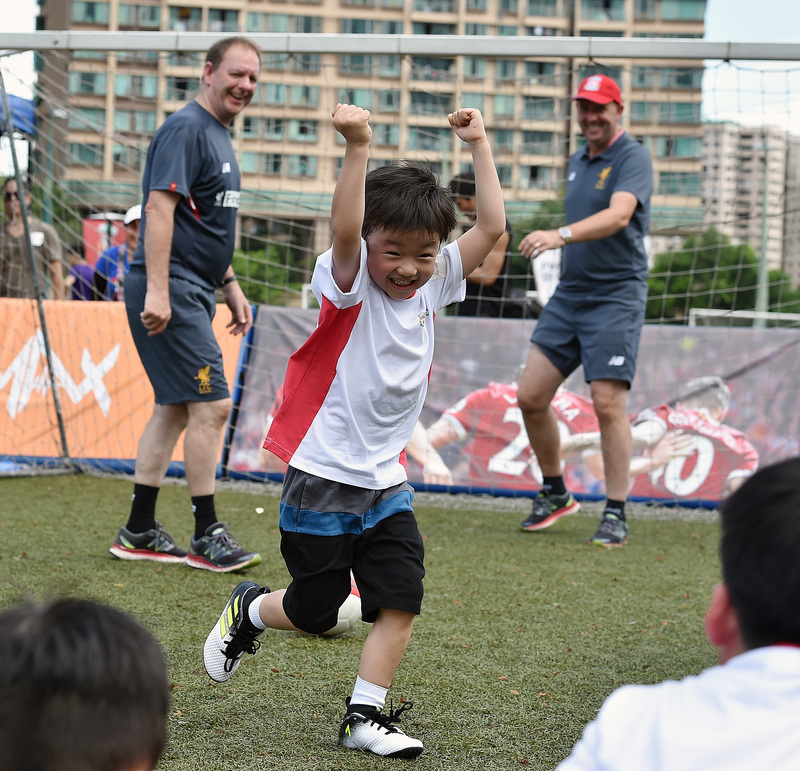 The Reds are now set to collect the trophy on the pitch at Hong Kong Stadium, with fans still here to applaud their team before they head back to Merseyside later this evening. 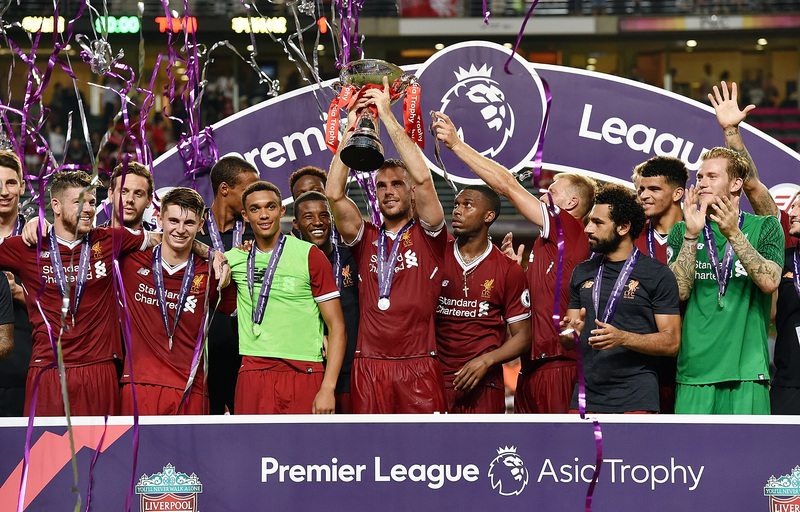 The Reds claim the Premier League Asia Trophy after a goalless second half in Hong Kong. 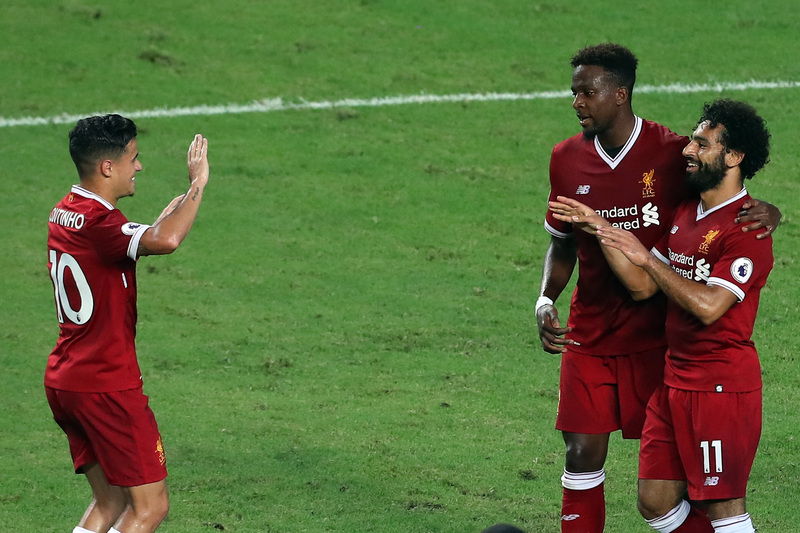 The goals from Coutinho and Salah were enough to secure a satisfying end to the club's tour. Kent tries his luck with an ambitious one from 25 yards that bobbles en route to goal and is pushed away cautiously by the goalkeeper. Time is ticking away now. Another Reds change - Flanagan on for Lovren. Footage of the pre-match 'You'll Never Walk Alone' is now available to watch below.. The tempo has lulled in this second half, perhaps due to the constant humidity and also the frequency of the changes. 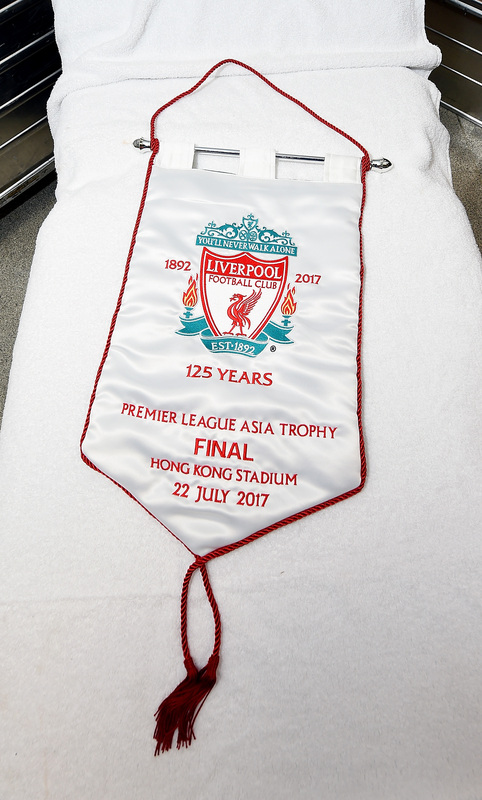 Just over 10 minutes until the full-time whistle and the Premier League Asia Trophy is Liverpool's as it stands. Morgan is withdrawn, Benalouane sent on. Ndidi goes into the book. 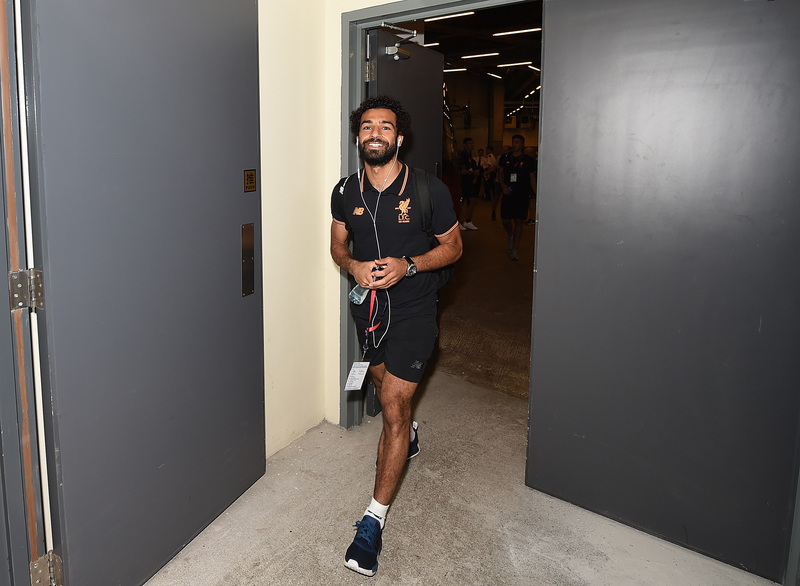 Wijnaldum and Salah come off for Liverpool, Solanke and Kent coming on. 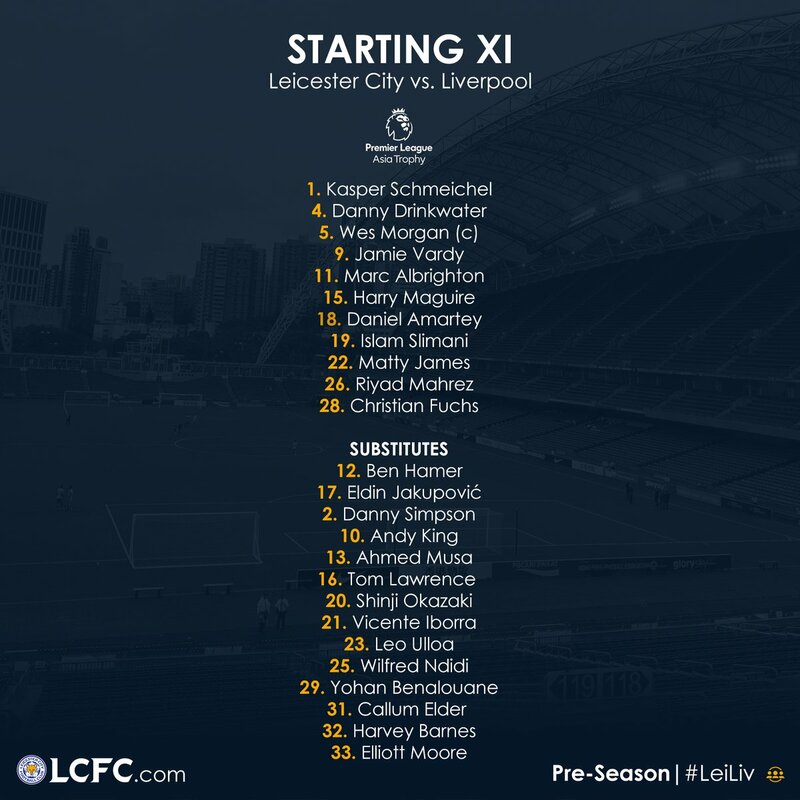 For Leicester, Mahrez and Vardy are replaced by Musa and Ulloa. James and Drinkwater go off, Ndidi and Iborra on. 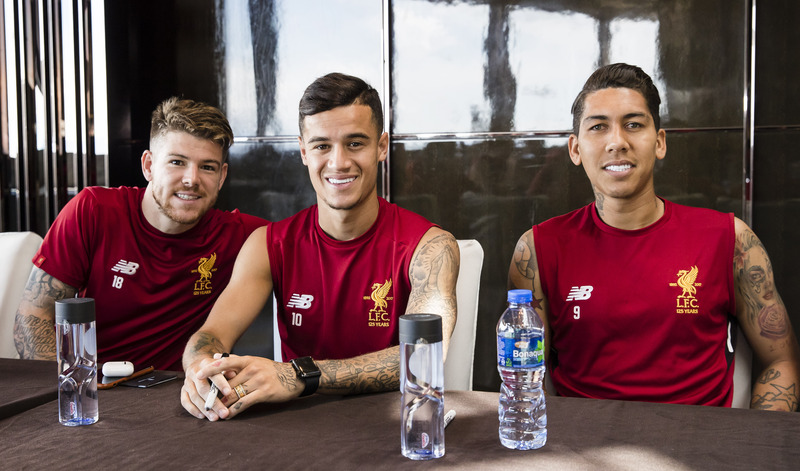 Coutinho and Alexander-Arnold replaced by Woodburn and Gomez. Vardy is in behind yet again and this time the Reds are seemingly without a hope of stopping him - but Moreno, Klavan and finally Karius manage to scoop the ball away before he can shoot. At the other end, a really promising opportunity for Grujic as Henderson's sweeping cross bounces along the edge of the area - though the midfielder's attempt is too high over the crossbar. Two great chances squandered by Leicester and Vardy. First, the striker gets the benefit when appearing offside, but lifts his finish over Karius and wide of the far post from a narrowing angle on the left. Then he breaks clear again but the Liverpool stopper rushes out quickly to block firmly. Albrighton, Amartey and Slimani go off. Lawrence, Simpson and King on. Origi, Matip, Lallana and Firmino are off. 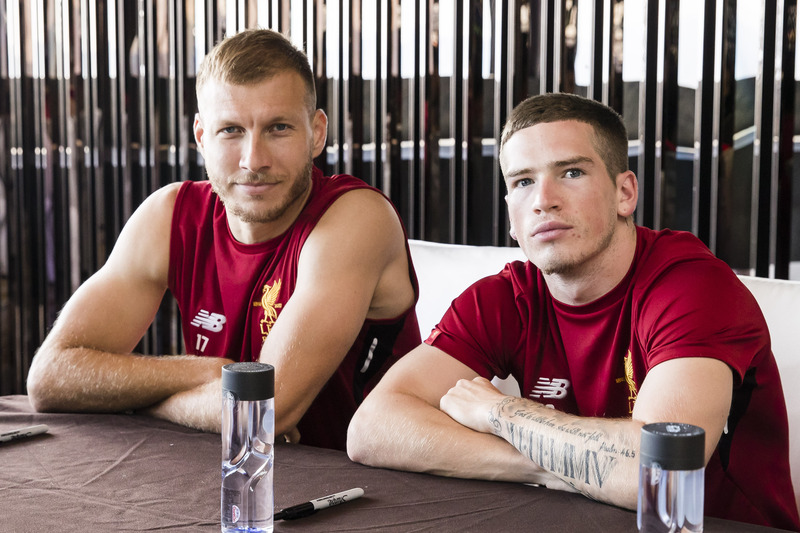 Coming on: Sturridge, Henderson, Klavan and Grujic. We're back under way in Hong Kong. 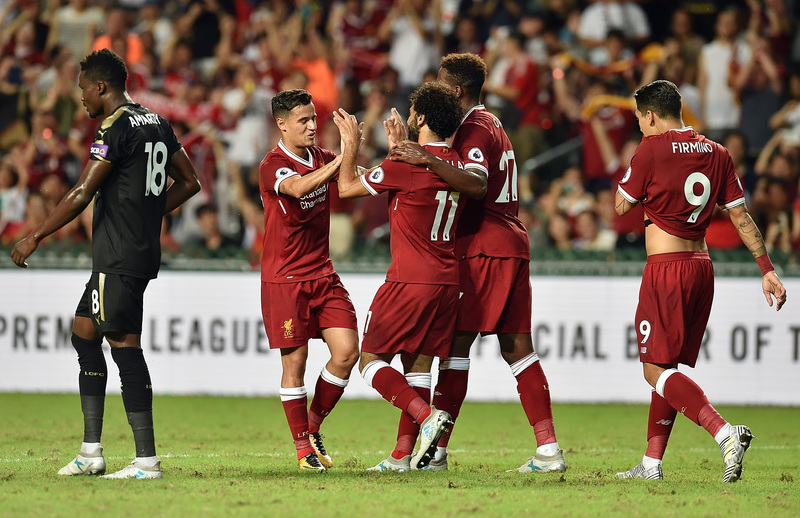 The Reds trailed to a Slimani header but exquisite goals from Salah and Coutinho overturned the score before the interval. Halfway to the Premier League Asia Trophy. He takes possession near the left corner of the box, skips into enough room for a strike and summons an arrow of a finish that whistled beyond Schmeichel's reach into the far corner. Top class. Switch for the Reds before half-time - Moreno on for Milner. Coutinho sends in a free-kick from the inside right, Schmeichel comes to clear and the ball lands to Wijnaldum, who directs it back towards goal with ferocity. But, sadly, Matip is in the way and it ends up wide. Back to the other end, Albrighton scurries into shooting territory from his left-hand berth and smacks a dangerous, low effort that he hopes will creep inside the left post. Instead, it's just wide. There's a good flow to the game now and Firmino is the latest to try his luck from the fringes of the penalty area, but Schmeichel claims the shot easily at a nice height for the 'keeper. 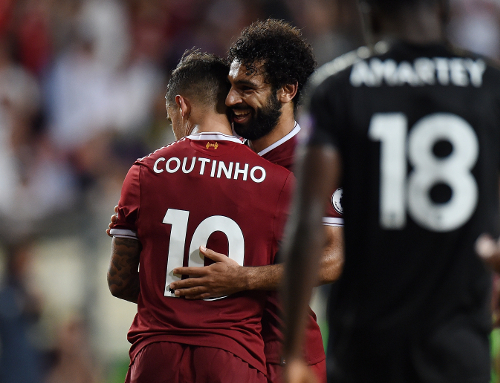 They almost combined earlier and this time Coutinho and Salah do outstandingly to level for Liverpool. Salah broke off the right flank and fed his teammate, who provided exactly the right pass to match the No.11's forward run into the box and the final deft header found the bottom corner. The Foxes threaten an immediate second from a free-kick in a brilliant central area outside the box. 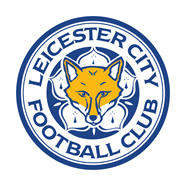 Mahrez shifts the ball short to Drinkwater, whose attempted blast is blocked. It comes very much against the run of play but Leicester lead. Fuchs broke into space on the left flank and lofted an inch-perfect cross to the back post, where Slimani timed his arrival to powerfully head home past a helpless Karius. Work to do for Liverpool. Almost a devastating link-up between Coutinho and Salah there, but the former can't quite make the most of the latter's lift over the backline as he is pressured on the ball. Unlucky. Really strong and diligent defending by Milner as Mahrez tries to forge space on the byline with his footwork. 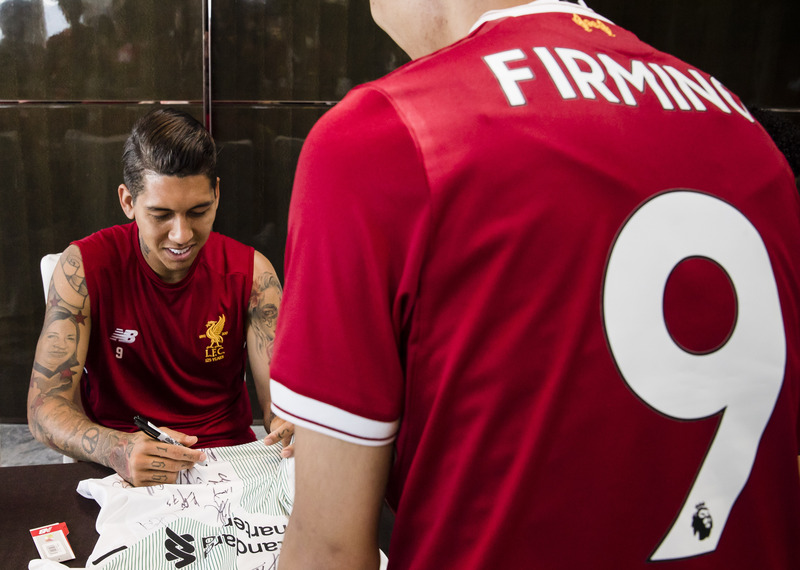 The Liverpool No.7 stays with him and blocks the cross. The Reds move the ball to the Brazilian just over 20 yards from goal and he cracks a dipping effort that is relatively comfortable for Schmeichel. Liverpool win a corner little over 30 seconds into the game after good approach play by Firmino and Lallana on the left. There's a slight hesitation when the ball comes in to the near post but the Foxes clear. Jamie Vardy gets the game under way for Leicester. And here we go with the Reds' anthem - thousands of scarves are in the air and the south stand is leading the way for volume levels. Excellent, as always. 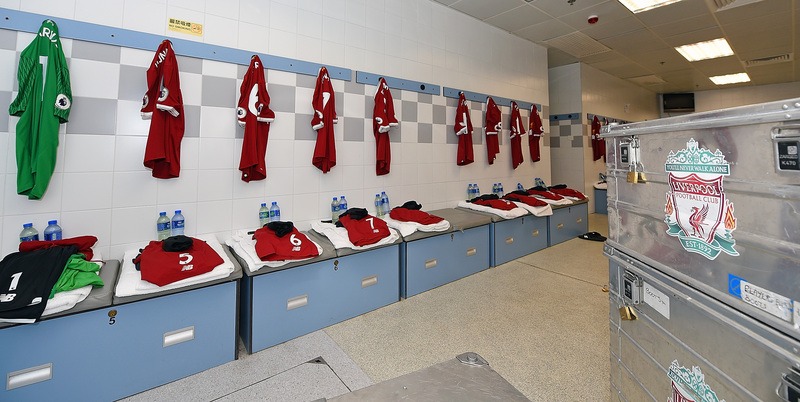 The players have completed warm-ups and returned to their dressing rooms a moment ago. The temperature is still a remarkable 30 degrees celsius, so it'll be a big test of conditioning here. 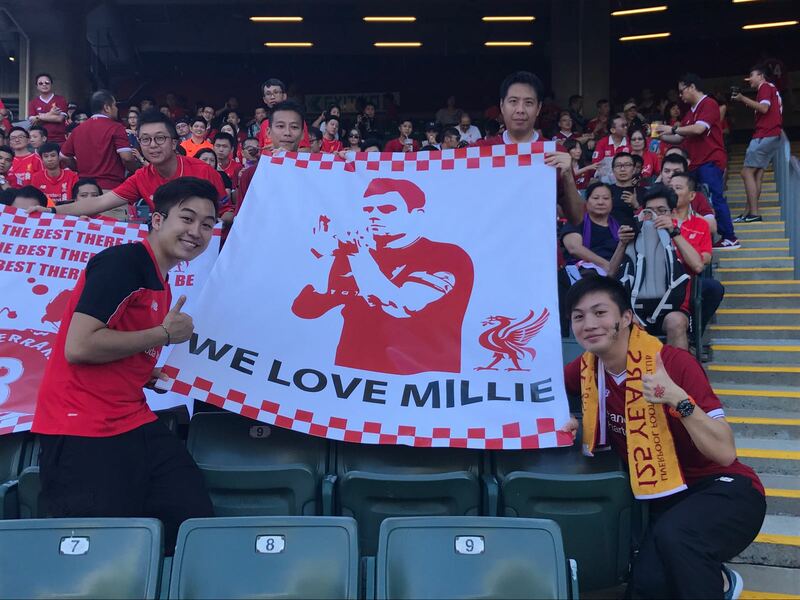 The atmosphere is really starting to build up in the stadium now, which once again is almost 100 per cent in support of Liverpool. They're eagerly awaiting the chance to sing 'You'll Never Walk Alone' before kick-off. 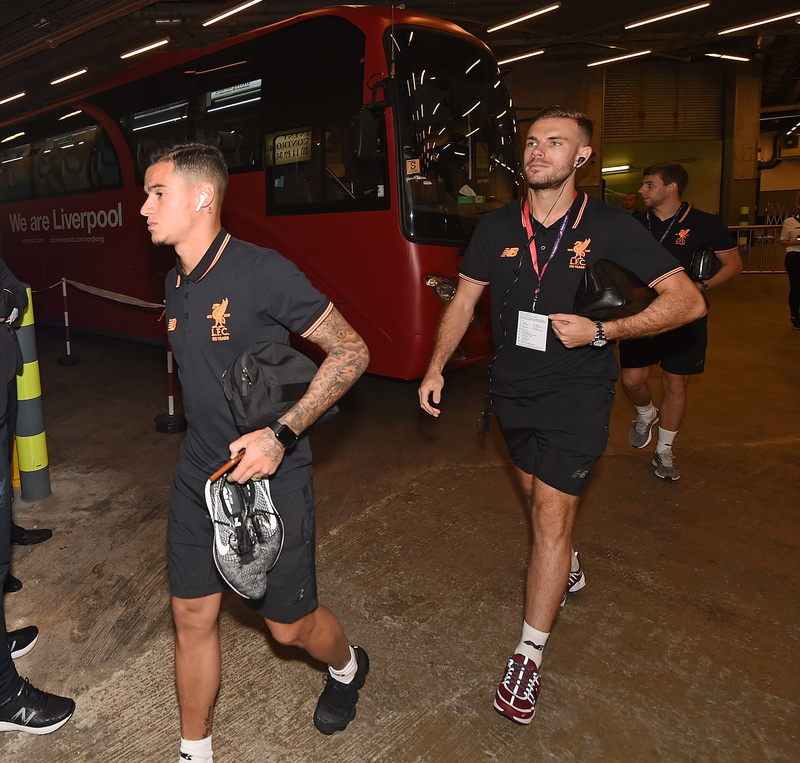 Liverpool have arrived at the Hong Kong Stadium. 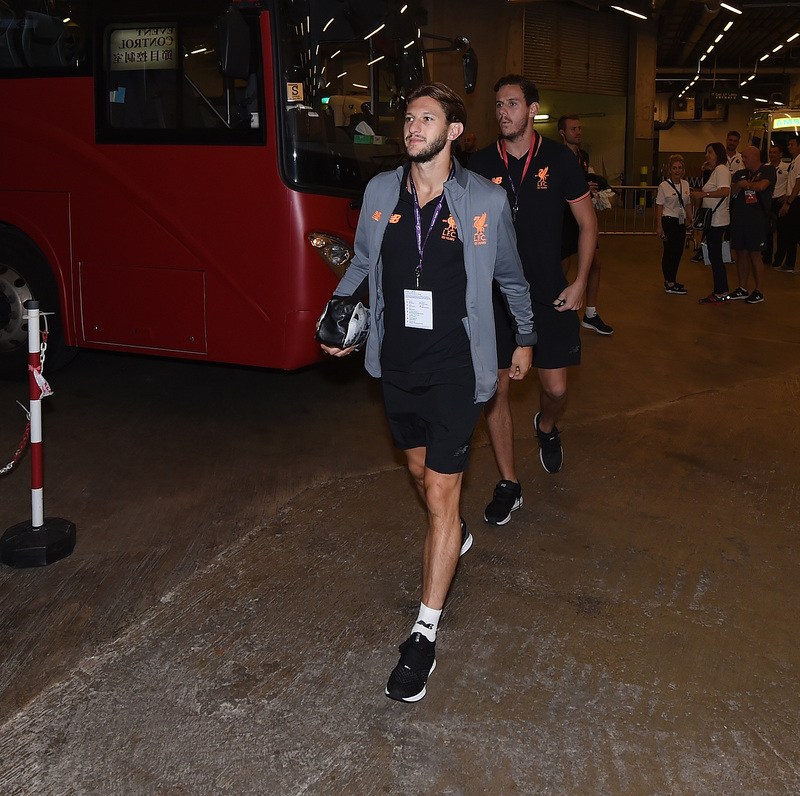 Starting XI: Karius, Alexander-Arnold, Matip, Lovren, Milner, Wijnaldum, Lallana, Coutinho, Salah, Firmino, Origi. 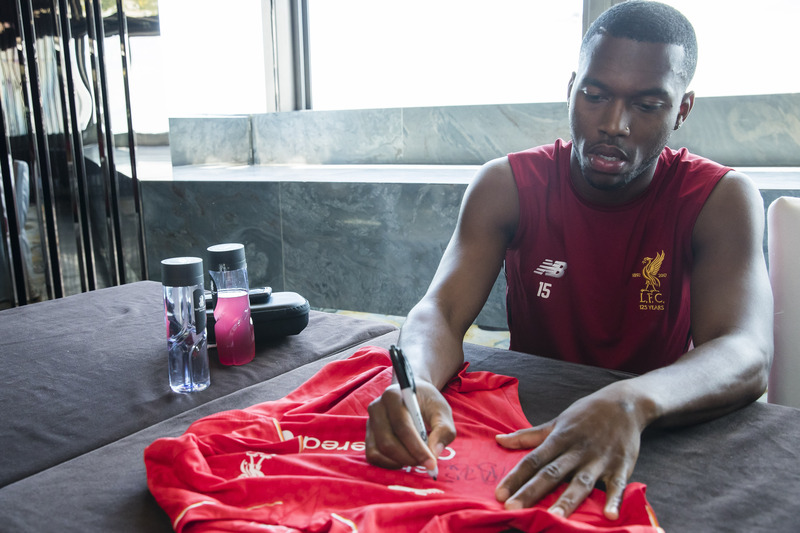 Substitutes: Mignolet, Gomez, Henderson, Sturridge, Grujic, Klavan, Moreno, Solanke, Flanagan, Kent, Woodburn. 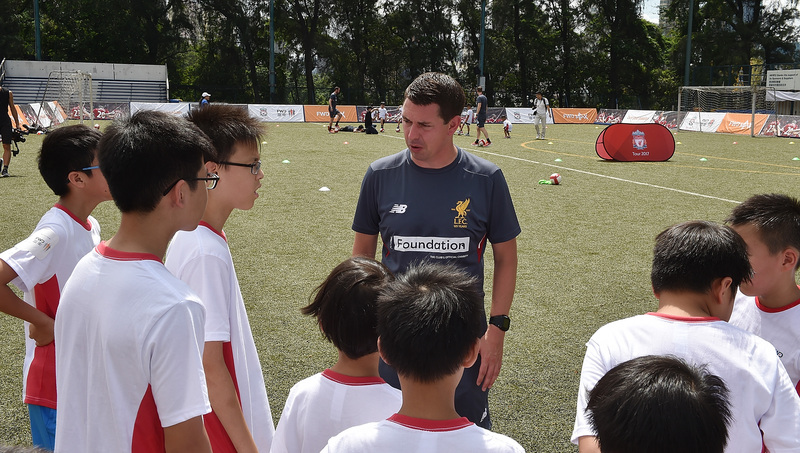 The outstanding LFC Foundation team have been out in Hong Kong this week, working daily with local charities and children to put on a series of coaching clinics and events. 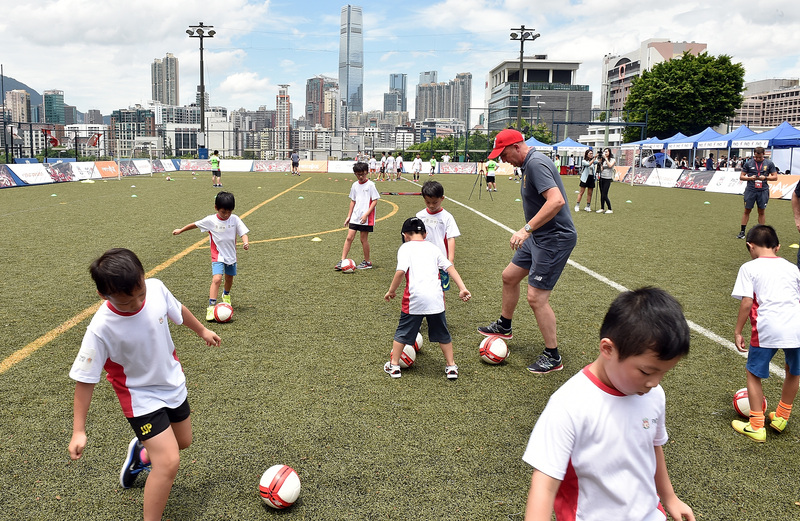 And even though today is our last day in Asia, the lads were out again this morning - with Gary McAllister - to deliver a session in the city with kids. Due to rights restrictions, the game is not available to watch live on LFCTV or LFCTV GO in the UK and Republic of Ireland. Return to either service at 7.30pm BST to watch the whole match. 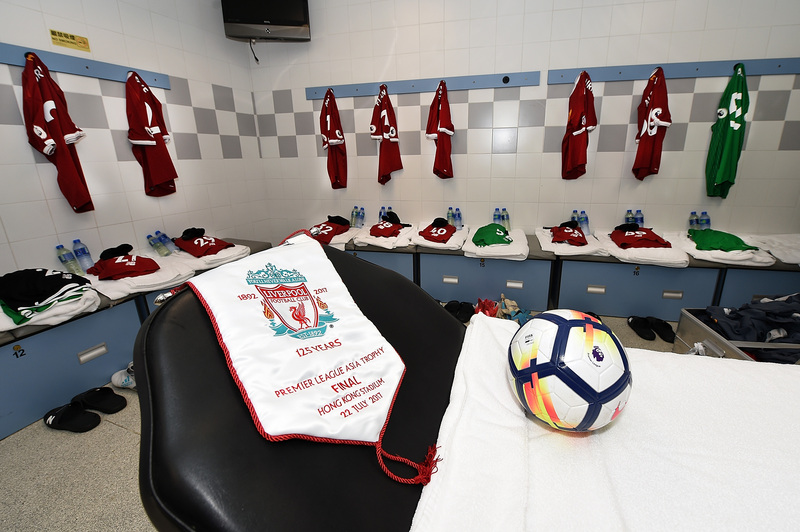 Pre-match and post-match coverage will be available at www.liverpoolfc.com/video/live/live-tv and you can listen to live audio commentary across the 90 minutes in the same place. 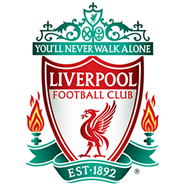 Live coverage of the game is available on LFCTV GO at www.liverpoolfc.com/video/live/live-events. Their focus is firmly on the game today but earlier this week the squad had time for a number of collective challenges. 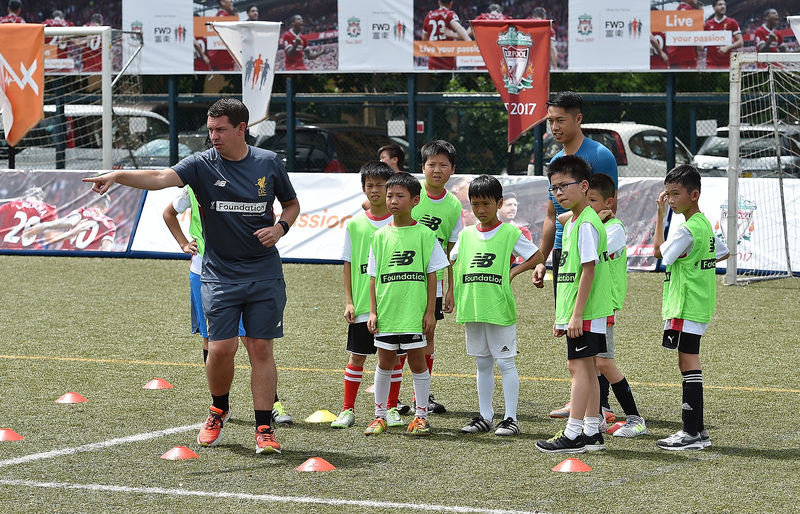 One was the chance to make vice-captain James Milner laugh. 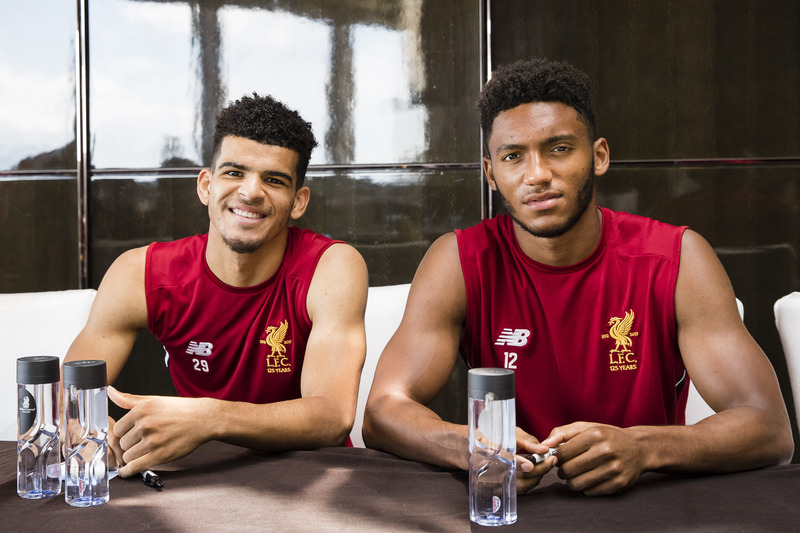 We await a confirmed starting line-up but what we do know is that Trent Alexander-Arnold is fit and available. The young defender needed treatment during yesterday's open training session but was back with the team as they warmed up earlier today. Liverpool beat Crystal Palace 2-0 in midweek to reach today's final - Dominic Solanke and Divock Origi on target. Quickfire highlights of that game are available below. 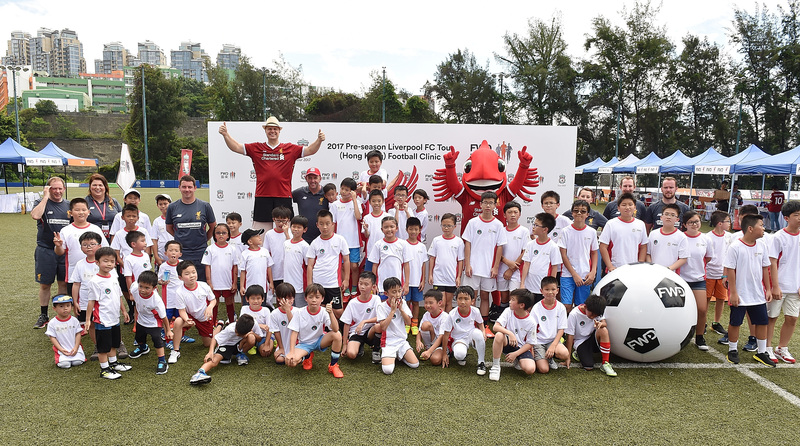 Welcome to our live blog - it's the final day of Liverpool's stay in Hong Kong and, fittingly, they are playing in a final for the Premier League Asia Trophy. Follow everything that happens right here.